My .bashrc file is completely EMPTY. I have nothing in there currently. I've been researching color in Linux for hours. Trust me, I've exhausted my options. I don't want to use a custom program, download packages, run a script, or use a wrapper for Terminal. 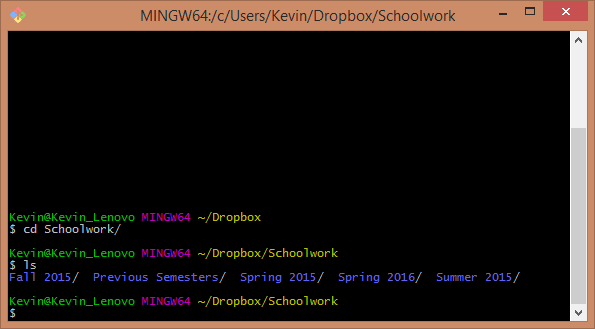 I just want my terminal colored how it looks in the GitBash image OR how Command Prompt displays color. I don't want to change the text background, I want to change my terminal background. I personally would like Black, not grey. Terminal colors aren't set in the shell (text colors can be, though, for things like 'ls'). They're specific to the terminal application. In the first picture, it looks like xterm (although I've been informed it is not). I'm guessing the second picture is GNOME Terminal. That reverseVideo line will give you a black background with white text. I have about twenty lines for XTerm in my .Xdefaults. 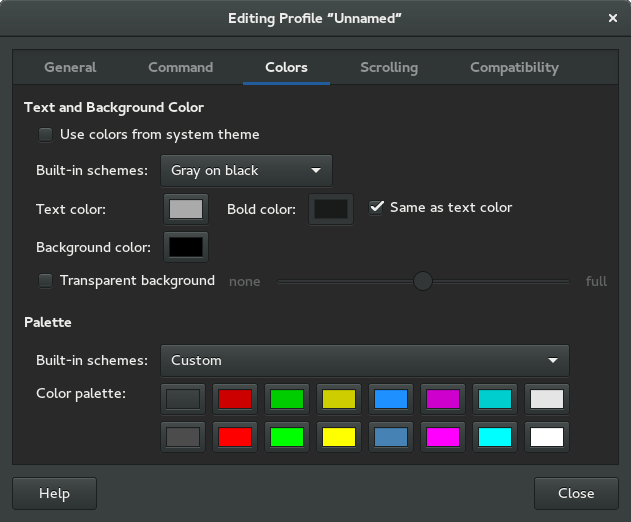 You should be able to set color schemes for GNOME terminal via the menus up top - according to the docs, it'll be Edit -> Profile Preferences -> Colors. Uncheck "Use colors from system theme" and then select a color scheme (or customize one) that you like. GNOME Terminal is slower, but it has a lot more modern features than xterm. I use xterm because it's fast and I've used it for twenty years, so I'm used to it. Not the answer you're looking for? 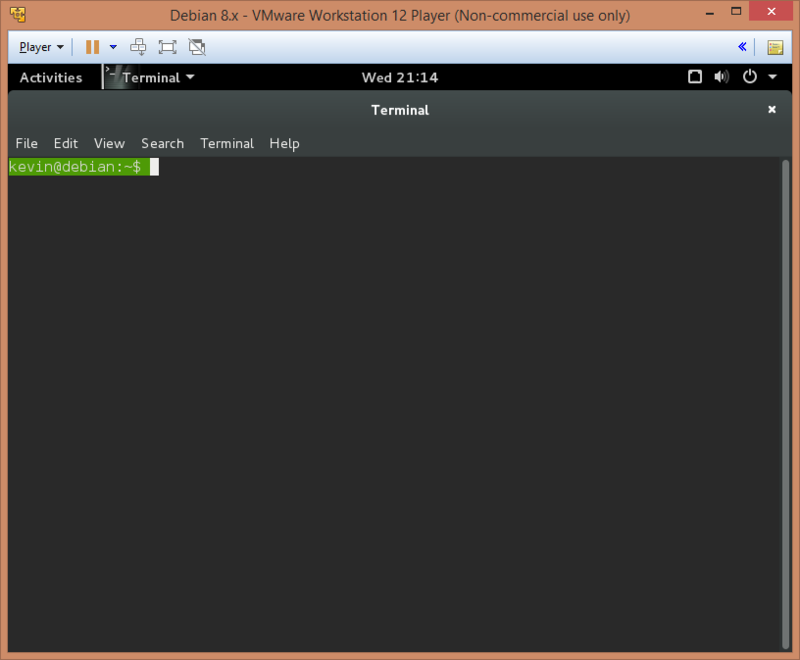 Browse other questions tagged debian terminal colors text or ask your own question. How to change background and text colors in Yakuake? Which part of this bash PS1 config determine the color? Configure Yakuake Terminal Separator Color?